Despite being just about 5’9″ (listed), watching Stevie Mejia in 2013 was a lot of fun. At a lot of different levels of Division III, the best recruiters are the ones who can look past measurables and figure out which players are the best, regardless of the eye test. Some high level schools don’t necessarily need to worry about that and can get the player they want at an ideal height, but that’s not everybody. That holds true for Division I as well. Sometimes the best player or fit for a program is a 5’9″ point guard. Chaz Williams made a heck of an impact at UMass. But those players have to do special things to make up for their lack of height. I put together this video of things small guards can focus on in order to be the most effective player possible. A lot of it focuses on where on the court they make decisions. The ball has to be out of their hands on attacks a little bit earlier than big guards and getting caught overpenetrating is more dangerous for a smaller guy. Smaller guards need to look to operate around the free throw line or a step below, before the bigs swarm. Coming off ball screens requires a bit more technique, because throwing passes out of a trap or over a hedger requires a more specific angle when you’re not 6’4″. So creating space and squaring your shoulders to the rim is a point of emphasis. 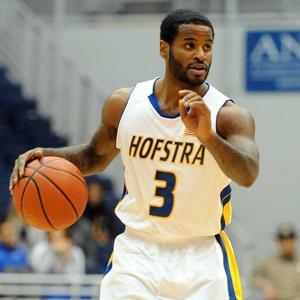 All these things are easy to work on, and hopefully watching this video and watching guys like former Hofstra point guard Stevie Mejia operate, can help a number of players. This entry was posted on August 12, 2015 by Coach Sass in Coaching, College Basketball, Video.